The District is proud of its extensive cycling network – the largest in Lancashire! 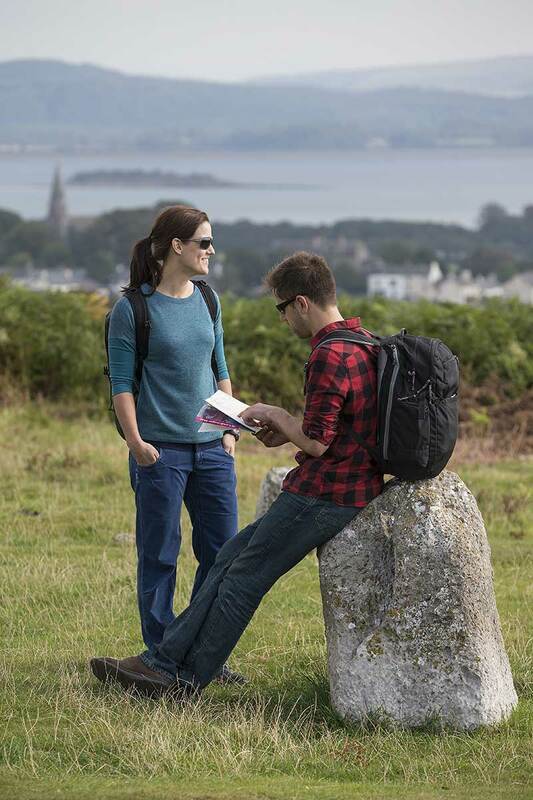 We’re equally proud that so many people – local and visitors alike – enjoy using the whole range of routes. even more of us to get on our bikes and enjoy all the benefits cycling brings. There are lots of helpful guides and websites, providing ata- glance information about some great rides for you, your friends and family to enjoy, whether you’ve never ridden a bike before in your life or you’re a seasoned pro, whether you’re thinking about beating the traffic and cycling to work or you want to find somewhere safe to take the kids at the weekend. Towpaths on canals, rivers and other waterside paths provide a network of scenic routes for cyclists without the hassle of motor traffic which makes them a great place for a family bike ride. 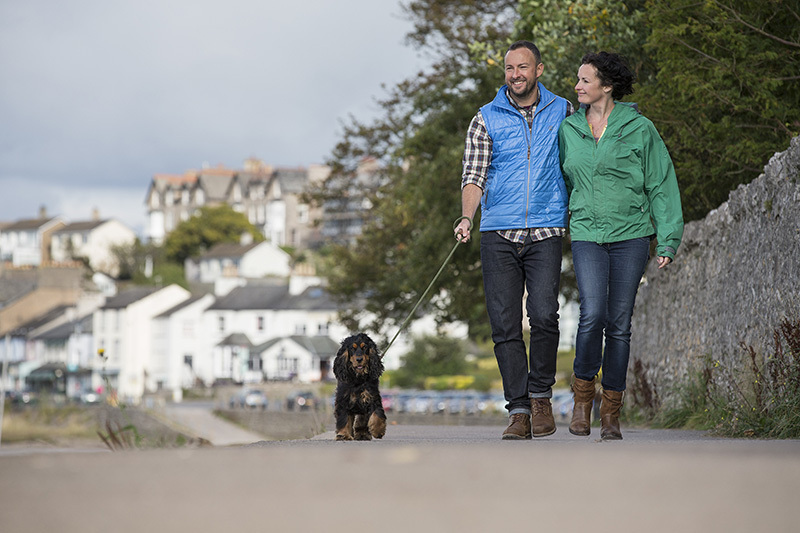 You can cycle long distances or a short ride as part of a longer route to enjoy the relaxed and friendly environment which could be closer to you than you think – over half the population live within about 10 minutes of a waterway. Bowland by Bike has 5 stunning cycle routes in and around the Forest of Bowland. These routes vary in length and surface and have been selected to give you a flavour of the excellent cycling opportunities available throughout the AONB. Now there is a fantastic new cycle way around Morecambe Bay, so you can have your own big adventure on two wheels! The award winning Bay Cycle Way connects, signs and improves 130km of relatively flat cycle routes around the Bay. It is a new, family-friendly, long distance route, suitable for entry level touring cyclists – and more importantly it is designed so that you’ll never be far from a loo, a view or a brew! Where does it take you? The route runs from Walney, near Barrow, to Glasson, south of Lancaster. 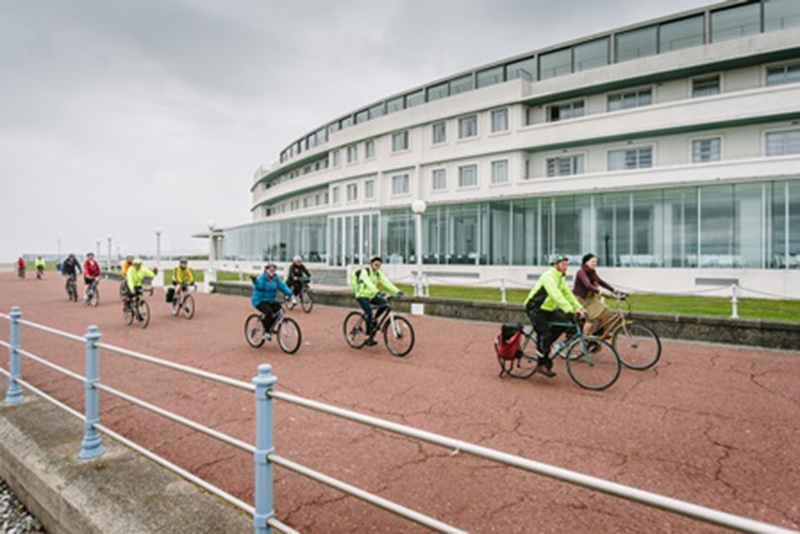 Or for the more energetic, try the Way of the Roses route which starts from Morecambe on the sea front, just south of the stone jetty and Midland Hotel at the Bastion. Look for the Way of the Roses information board and sign showing Bridlington 170 miles. Many cyclists mark their start with a photo at the Eric Morecambe statue found on the sea front.